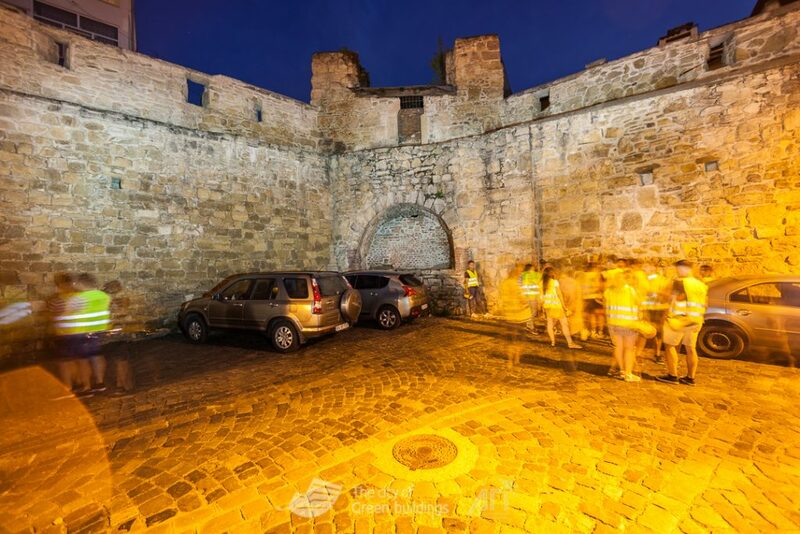 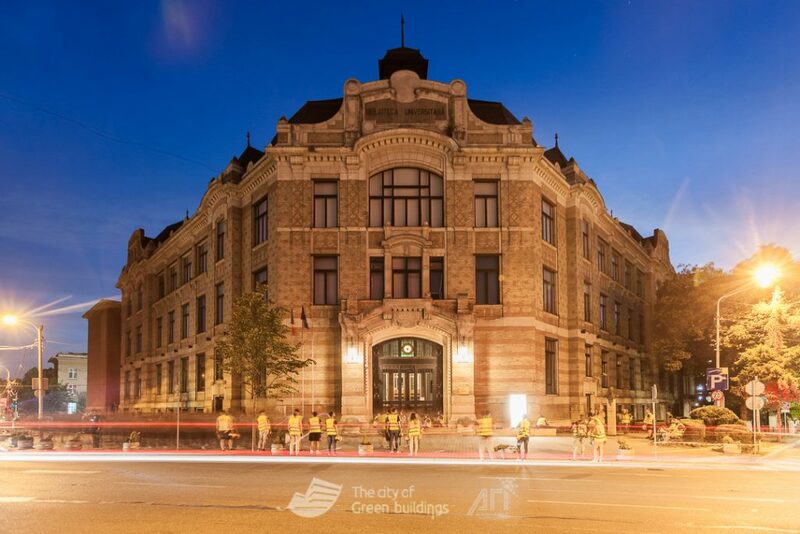 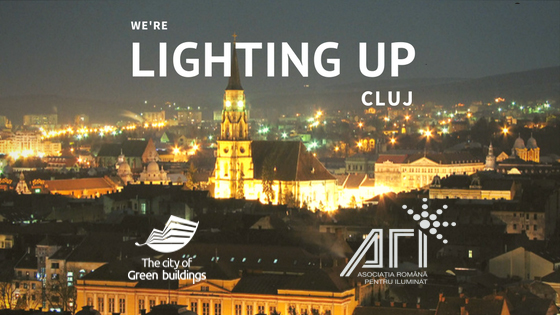 This Saturday, on the 22nd of August, The City of Green Buildings Association, in partnership with the Romanian Association for Lighting, gave life to the first Guerilla Lighting event ever organized in Cluj-Napoca, therefore, it became the third city in Romania developing this concept. 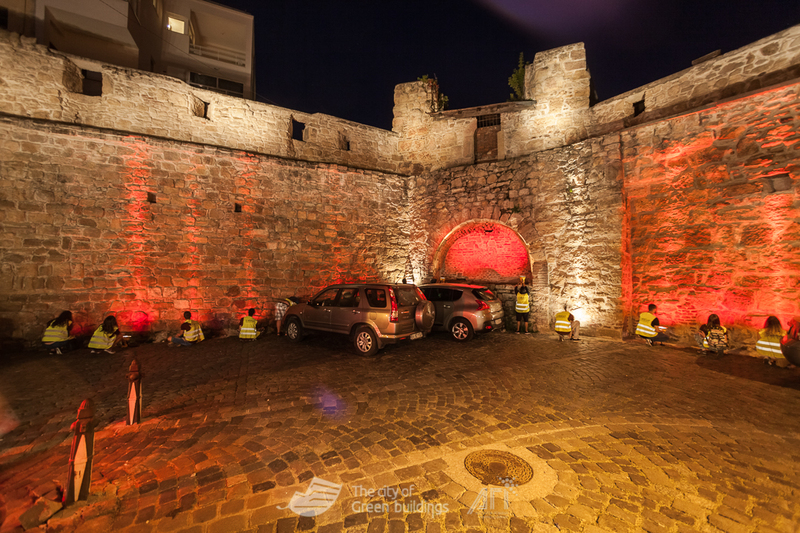 Guerilla Lighting is a fun concept which aims to bring people together and raise awarness against the harmful use of light. 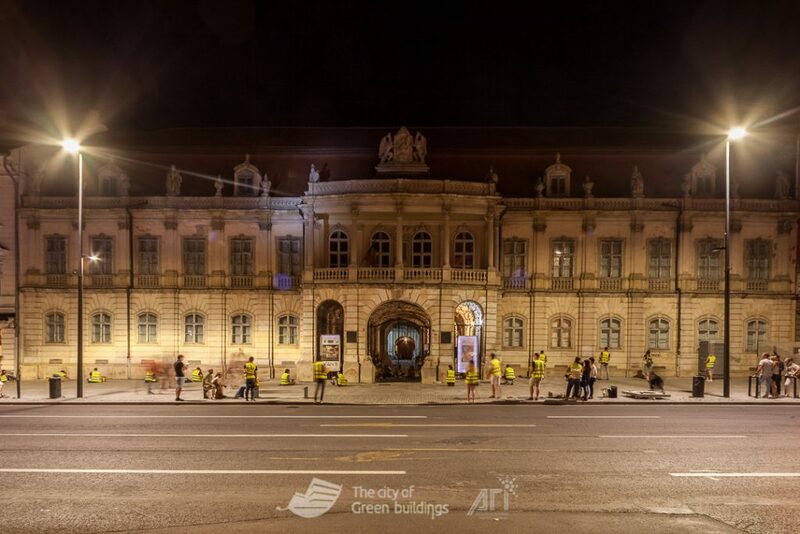 Four buildings in Cluj were seen in different lights this time: Technical University Rectors’s Buildings, The Central University’s Library „Lucian Blaga” and Cluj’s Wall on Potaissa Street, Banffy Palace. 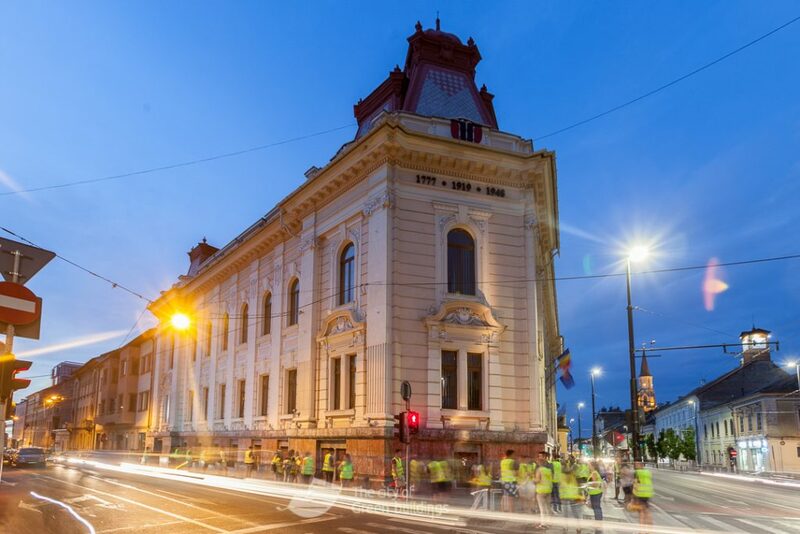 Guerilla Lighting is an event which uses light as a form of urban intervention and the concept is a Light Collective al Martin Lupton & Sharon Stammers concept. 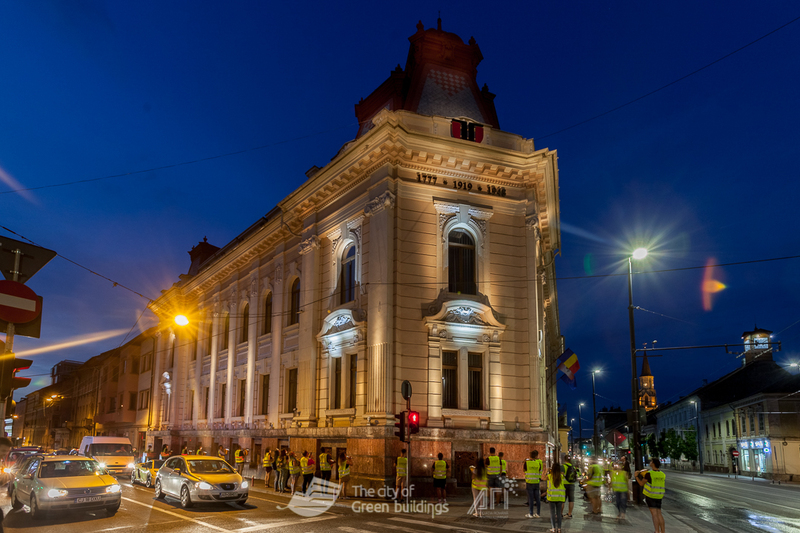 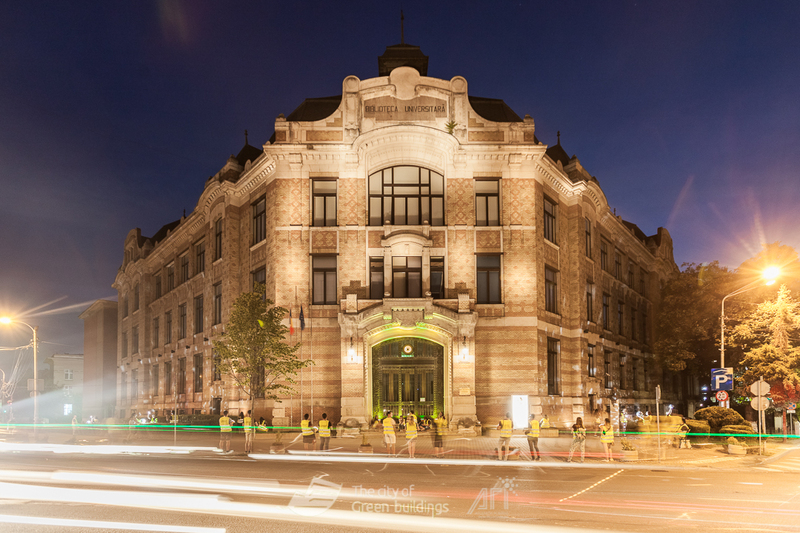 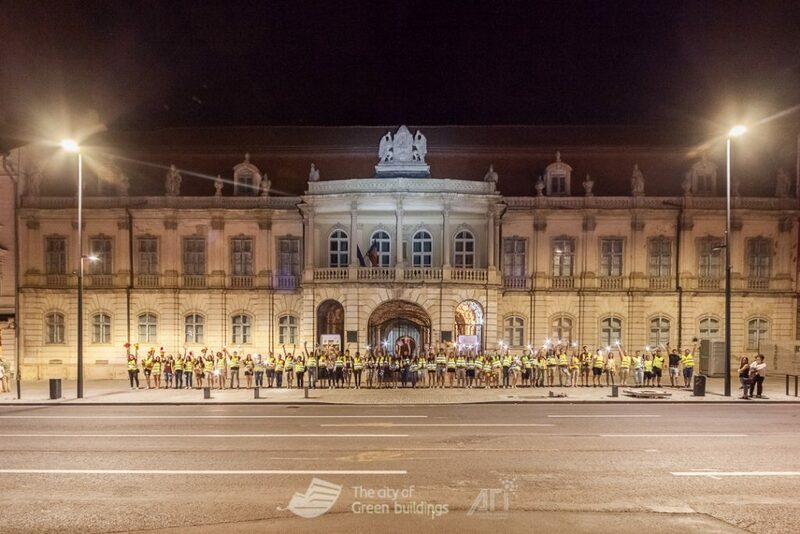 More than 40 volunteers, together with our team and the students from The City of Green Buildings Academy (organized during the 17th of July and August 2nd), lightened up Cluj-Napoca. 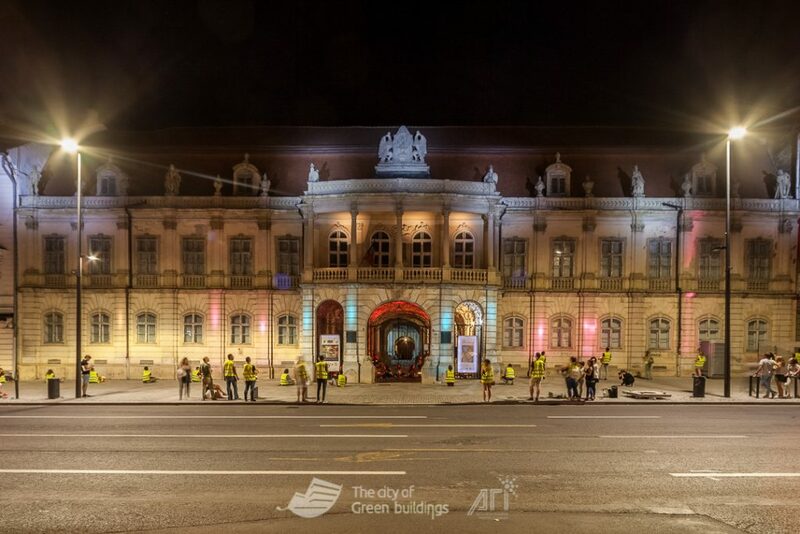 Guerilla Lighting was organized with the help of The Cluj-Napoca City Hall, The Technical University of Cluj-Napoca, The Babes Bolyai University, The Art Museum of Cluj-Napoca, The Association of Construction Students from the Technical University and the Organization of Students from the Technical University.